Rug Doctor Pro takes a different approach to stain removal by offering individual solutions to certain specific stains and odours. All Rug Doctor Pro cleaning solutions have clear, user-friendly labelling with COSHH data incorporated on the reverse label of every bottle. For sticky, oily stains, such as motor oil, use Rug Doctor Pro Traffic Lane Cleaner spray as a pre-treatment to cleaning with a Rug Doctor Pro machine. For liquid, oily stains, such as salad dressing or vegetable oil, use Rug Doctor Pro Spot and Stain Remover. For urine, vomit, blood, faeces and beer stains, use Rug Doctor Pro Urine Eliminator. For unidentified stains, use Rug Doctor Pro Spot and Stain Remover. For mildew or beer stains use Rug Doctor Pro Odour Remover. For best results act quickly - Rug Doctor Pro attachments are a great solution as they can be easily attached to the Rug Doctor machines and used to clean up spillages and stains without having to move furniture. Rug Doctor Pro's line of specialist cleaning products helps you keep your carpets and upholstery spotless. Use the following stain guide to find the best solution for your specific stains. 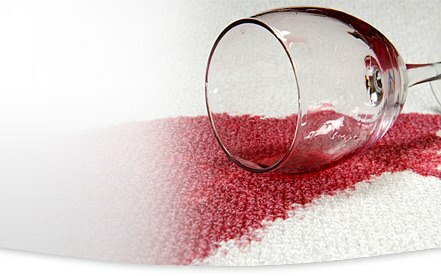 Select a category and type of stain for effective carpet cleaning. Follow our complete guidelines on how to look after your machine, and you can make it last.